Talking to the press about the surgery, Lead Surgeon, Dr. Mohamed Shaafiu said that the surgery was done on a 25-year-old woman. 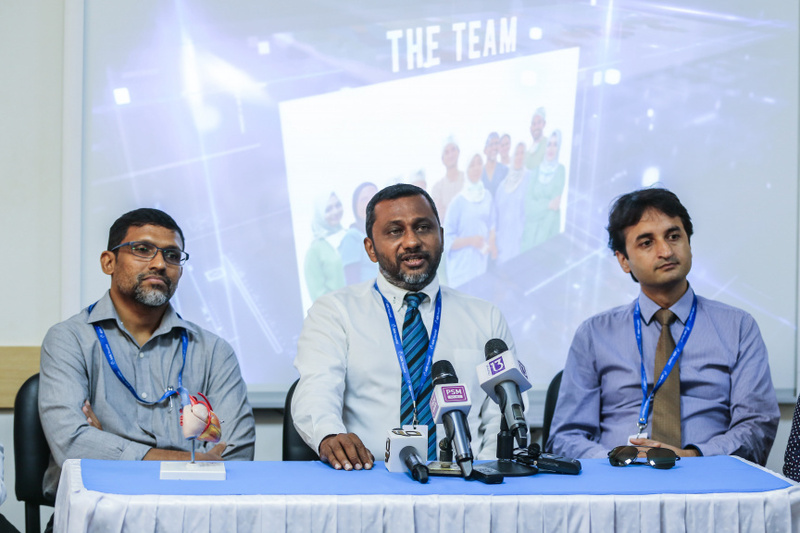 Dr. Shaafiu said that the patient was a mother of three with Mitral Valve Disease, the most important valve in the heart. If there's a problem with this valve, the heart doesn't pump well. He said that when the patient was examined at the hospital, she had an enlarged heart, the ECG was changing and signals was not flowing. Heart bypass surgery, is used to replace damaged arteries that supply blood to the heart muscle by using blood vessels taken from another area of the body to repair the damaged arteries. Open-heart surgery is any type of heart surgery where the chest is cut open and surgery is performed on the muscles, valves, or arteries of the heart.